See Pennywise in Full Costume For The Upcoming ‘IT’!!! The ‘It‘ reboot is in full swing of things and we’d been given a peek at the titular monster a while back. 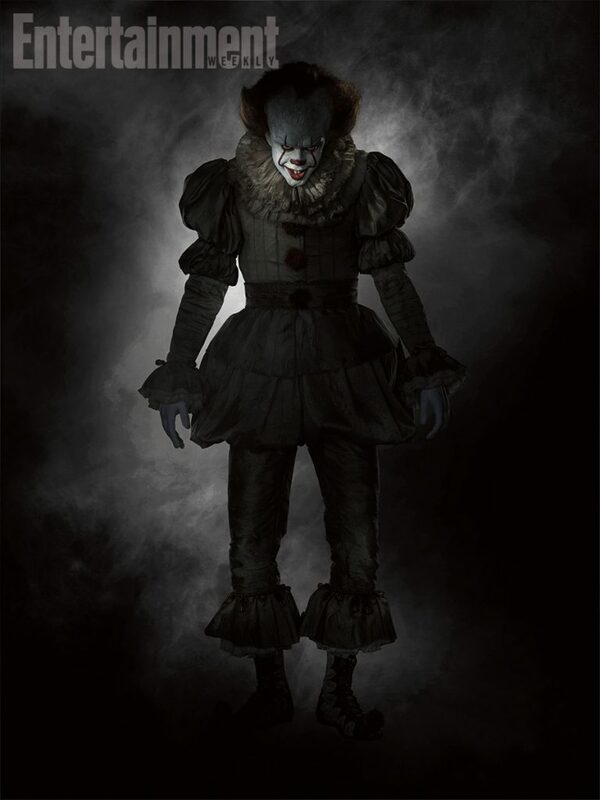 Now, we get the full picture of Pennywise, aka Bill Skarsgard, in full costume. When you look at him, you can see the influences from different time periods in the costume, which makes sense as he’s an ancient terror that’s been eating children for centuries. We’ve Got A New Pennywise For The ‘It’ Reboot!!!! Looks like we know who our Pennywise will be for the upcoming reboot of Stephen King’s seminal novel ‘It‘. Bill Skarsgard will don the clown get-up and frighten a new generation of kids just as Tim Curry did for my generation. Skarsgard has been seen in Netflix’s ‘Hemlock Grove‘ and ‘Allegiant‘. He comes from a talented acting family, his father Stellan is Erik Selvig in the Marvel Universe films beginning with ‘Thor‘, and his brother Alexander Skarsgard is known for his turn as Eric, a vampire from HBO’s ‘True Blood‘. 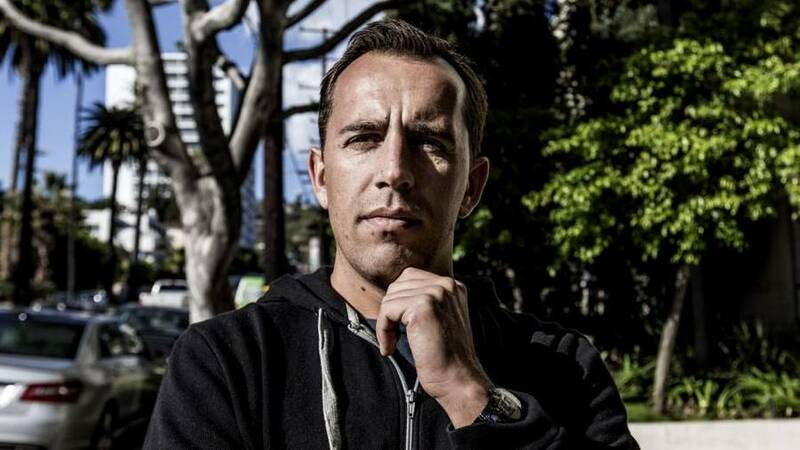 Cary Fukunaga’s ‘IT’ Has Found It’s Pennywise!!! 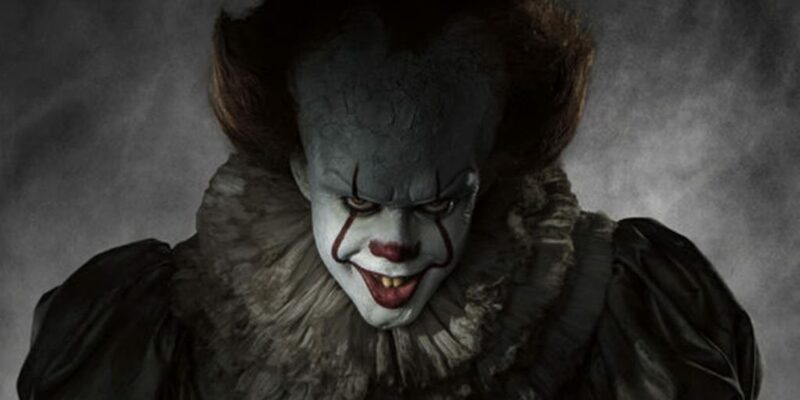 When I heard that director Cary Fukunaga was directing a retooling of Stephen King’s ‘It‘ for the big screen, I had one question, “Who would play Pennywise?” Sure, there are many parts that were cast really well in the original mini-series event that terrified fans everywhere, and some of my ideas of what is good about it are grounded in the nostalgia of watching the show in middle school and what faces became attached to those memories. Richard Thomas as Bill, Harry Anderson as Richie, and John Ritter as Ben are just a few casting choices that I can’t imagine anyone else taking on and doing justice to what is ingrained in my memory. As much as I loved watching those actors get scared, I loved the guy that filled them with terror and caused Bill’s stutter to run sprints around his face even more, Pennywise, performed to perfection and immortalized by Tim Curry. The announcement I had been dreading has finally been dropped and Pennywise has been re-cast. The ‘Pet Sematary’ remake is downright bad in just about every way possible. 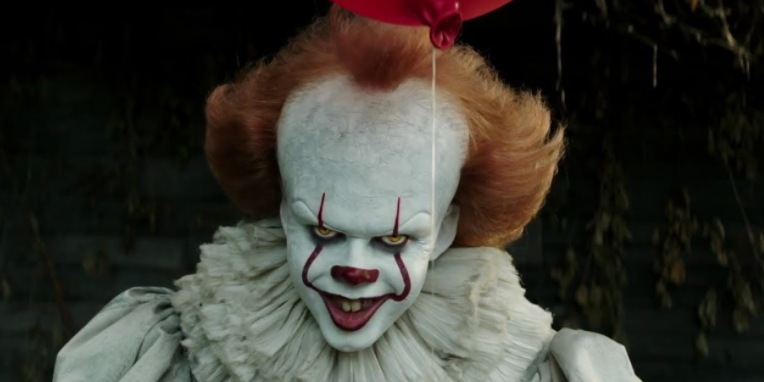 Since Stephen King’s ‘IT‘ remake was a highly commercial and critical success, film studios are scrambling as fast as they can to remake all of Stephen King’s work to cash in on that newly found interest once again. The latest remake in the King universe is ‘Pet Sematary‘, from relatively new filmmakers Kevin Kölsch and Dennis Widmyer. Now I remember reading King’s book long ago, but I admit it has been a while since I read the whole thing, however, the important plot details and themes still resonated clearly in present day. Mary Lambert’s vision in the original 1989 movie adaptation still holds up as well in most sequences, taking the tone of King’s book and translating it well to film. There are still iconic scenes that scare me in the dark from that original movie. 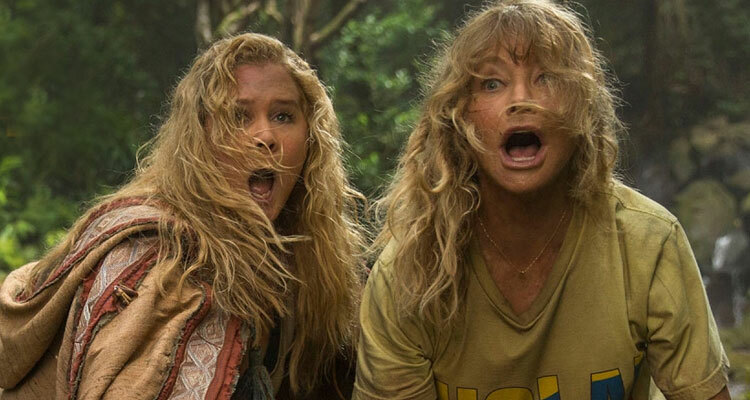 With this new 2019 remake though, everything looks cheap, including the scares, which come across as silly and laughable, and is downright bad in just about every way possible. 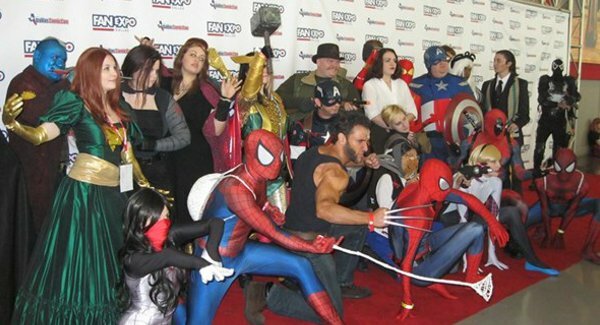 It’s easy to see that the executives at Warner Bros. and DC Comics have been listening to the fans in wanting funnier and more light-hearted superhero films after the super dark and very adult previous films. With ‘Aquaman‘, they literally threw in everything and the kitchen sink into that film to bring a wild, chaotic affair that was silly, yet fun in a “so bad it’s good” kind of way. 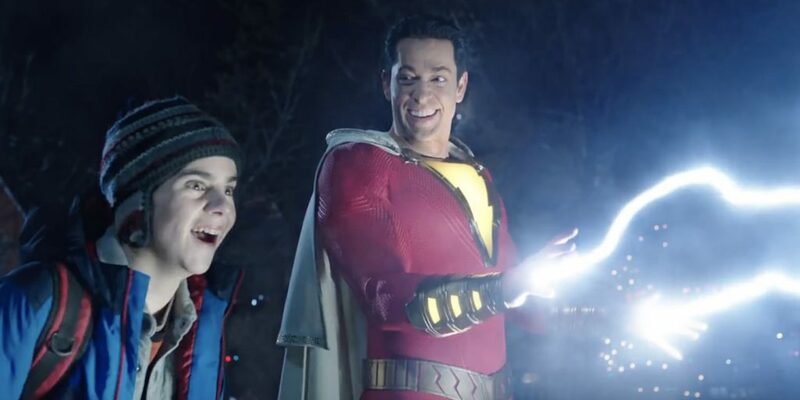 There is much more of a balance with ‘Shazam!‘ and dare I say it in my most impressive imitation of WWE’s The Rock – “Finally! DC has made a fun movie!” I stand by that statement too as odd choice in director David S. Sandberg (‘Lights Out‘ and ‘Annabelle: Creation‘) took his cues from Tom Hanks‘ 1980s film ‘Big‘ and made a large budget superhero movie out of it, set in the universe of The Justice League. Everyone in the film looks to be having a great time on screen with their respective characters and it transfers to smiles and laughs in its audience. Audrey Evans’ Favorite Movies of 2017! I’ve seen quite a few movies in 2017 and it was difficult to narrow them down to my absolute favorites. I’m not ranking any of these, but these are the films that stuck with me the most. Enjoy. ‘IT’ is coming to 4K UHD on January 9th! 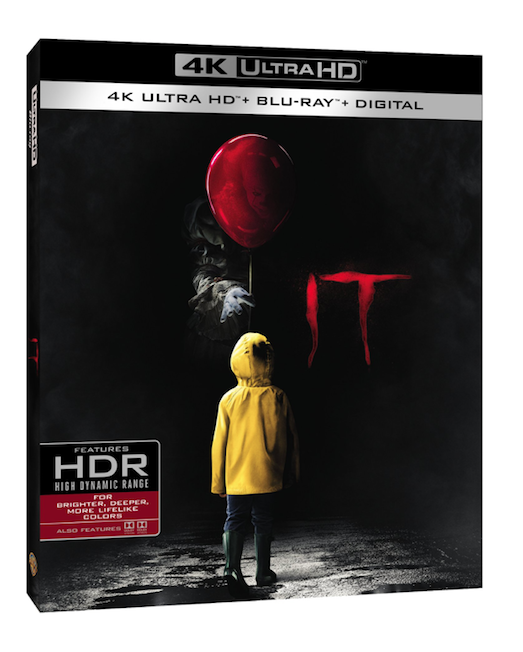 In one of my most anticipated 4K UHD releases, ‘IT‘ will be available on January 9th in physical form and on Digital HD December 19th. I can’t wait to laugh and sleep with the lights on all over again. ‘IT‘ will come with Dolby Vision and Dolby Atmos, along with several bonus features, including deleted scenes and behind-the-scenes footage. Below is all the information for the release. Pennywise the Dancing Clown is back in Derry, Maine after a long hiatus and troubled production. 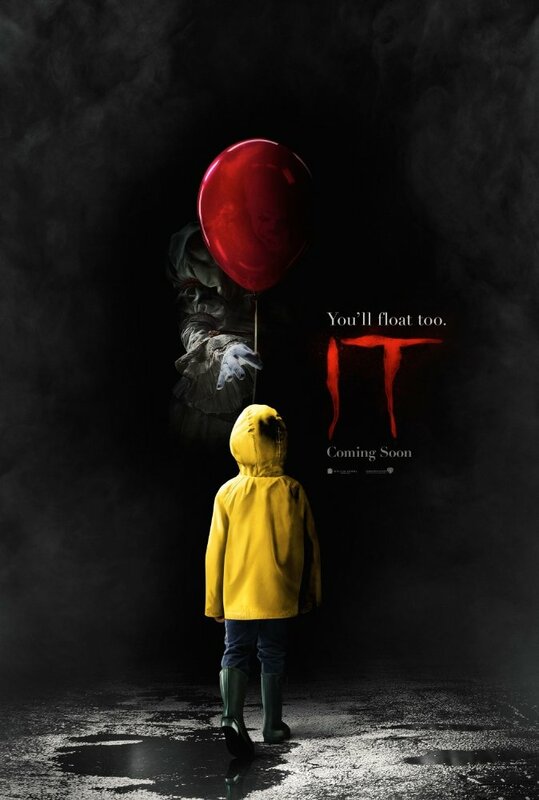 Despite the production issues, this modern version of Stephen King’s IT is a success in many ways, but has a few tiny flaws. Let me just say that if you have a phobia or are scared of clowns in any way, this film will be quite frightening for you. Bill Skarsgard fills the shoes of a 1993 Tim Curry as Pennywise the Clown and does a very good job. It’s not the same playful Pennywise from the 90s TV movie though. His outfit is different and Pennywise this time around seems more sinister and attacks his victims faster and more violently as we see in that first opening scene with little Georgie looking for his paper boat that went into the sewer. The New IT Trailer Does Its Job! Damn Scary! The new trailer for Stephen King’s IT remake is here and looks damn good and very scary. We get a ton of new footage here with more short glimpses of Pennywise the Clown, the famous blood in the sink scene, and much more terror. I have a feeling this remake is going to be one of the scarier films of recent memory, judging just by the trailers. Warner Bros. 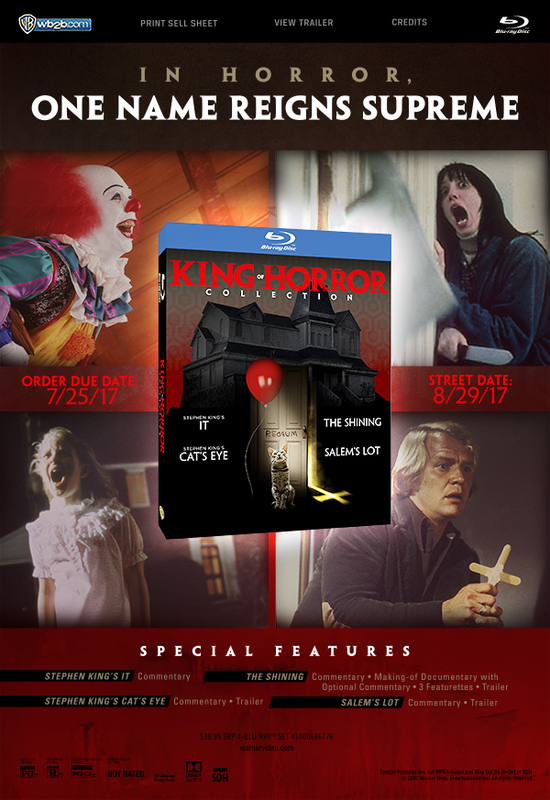 Announces the King of Horror Collection! Warner Bros. is looking to release a Stephen King 4 movie collection on August 29th of this year in one collection. The movies are Cat’s Eye, It, The Shining, and Salem’s Lot. These are all great films in my opinion. We Have Another Trailer For ‘IT’ and It’s Amazing!!!! If you simply cannot wait for the reboot of Stephen King’s thrilling story about the clown who embodies fear and evil, you’re in luck! For a second trailer to ‘IT‘ has been given to us to string our excitement along. Media-Ocrity Podcast #32 – ‘Mass Effect’, ‘It’, ‘The Mummy’! We have an incredible 33rd episode of our fun podcast under the MULTI-MEDIA MEN banner called ‘Media-Ocrity‘, where the show is just – okay. Here on the show, we focus strictly on horror/sci-fi, comic books, and video games – basically all the fun stuff that tickles your fancy. In our thirty-third episode, titled ‘The Mass Effect of Pennywise‘, we talk about the upcoming films ‘It’, ‘The Mummy’, ‘Justice League’ and more, in addition to the FanExpo Dallas and the new ‘Mass Effect: Andromeda’ game. It was so much fun. This episode is guaranteed to thrill you, chill you, and fulfill you. I am joined pop-culture wizard Jonathan Atterbury and comic book artist Jeremy Megert. The Remake of Stephen King’s ‘IT’ has a trailer! It’s a good Trailer! 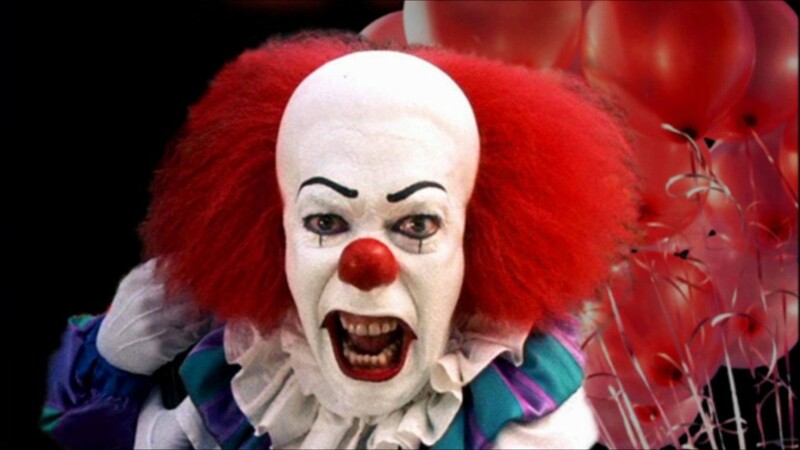 Clowns don’t scare me, however Tim Curry as Pennywise made me not sleep at night for a long time. It might have been his jovial, yet sadistic nature, sharp teeth, or yellow eyes, but it left a permanent mark on me forever. Other clowns just make me laugh. ‘IT‘ was a TV Movie based on Stephen King’s novel that came out 1990. It was a terrifying event that left some iconic images in my head for years to come. 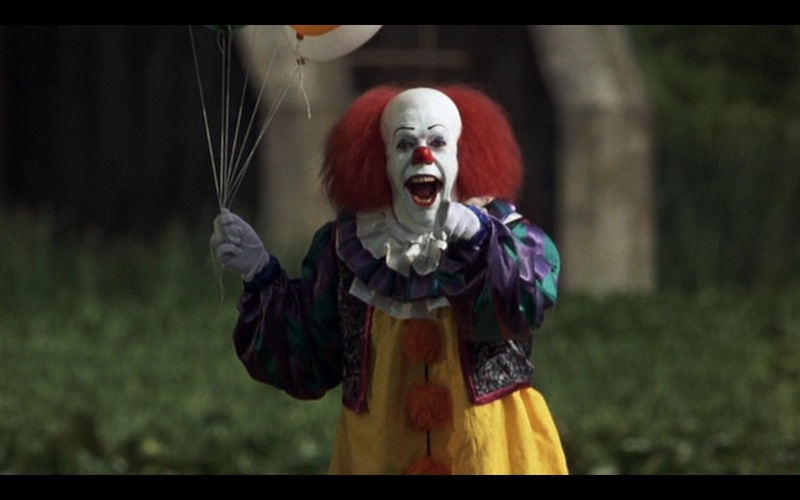 Muschietti Steps In As Fukunaga Exits Stephen King’s ‘It’ Reboot!!! There had to be a stumbling block as far as the re-boot for Stephen King’s ‘It’ is concerned and losing the director and only slated star sounds like it’s occurred. I’m hopeful Cary Fukunaga’s departure as director is nothing but a good sign for the film which, the original, is one of the building blocks of my childhood. Stephen King’s ‘The Dark Tower’ Moves Forward With Director!!! Fans of the brilliant writer Stephen King get excited when we see a new film being made based on one of his brilliant tomes. We got creeped out by our dead pets in ‘Pet Sematary‘, our healthy fear of clowns graduated into a full on psychosis after seeing Pennywise as ‘It‘, groaned in pain when we saw ‘Misery‘ on the big screen, in short, we laughed, we cried, we cringed and we loved every minute of it. One novel that has had trouble making it’s way to the silver screen is King’s western epic better known as the collective work of ‘The Gunslinger‘. Ten years and not one single, solitary word from you? You don't do that to someone you love! I deserve better, I deserve some correspondence of some indication of how you felt! Junuh, I don't know what happened to you... but whatever it was... it couldn't have been as unbearable as a woman waitin' with no end in sight... Wonderin if she's, remembered or forgotton by the man she loves... You never even said you were sorry... And now I'm supposed to just run into your arms and melt like butter on a hot muffin? It's too late for 'I'm sorry' Junuh!